Traditionally, RIA owners seeking capital to fund growth through acquisition, staff expansion or better equipment had one principal resort: the lending department at a commercial bank, according to experts in the field. Most banks, meanwhile, viewed RIAs as businesses like any others, and brought to the table little by way of industry-specific understanding or insight — making things particularly tough for RIA owners trying to fund succession plans or take money off the table to diversify their holdings. But this is changing, and for several reasons. First, old-school lenders are now less flummoxed by RIAs, a line of business that doesn’t usually “bring any hard assets or inventory to the table,” says Gabriel Garcia, head of relationship management at Pershing Advisor Solutions, a unit of Bank of New York Mellon. At the same time, he adds, they’re more impressed by the independent financial-advice channel’s “rapid growth, and the value of the recurring revenue” individual firms can generate. “Banks, private equity firms, strategic acquirers, as well as owners themselves, are increasingly willing to finance high-value, high-growth advisory businesses,” says Jersey City, N.J.-based Garcia. With a bank in play, the capital infusion is typically a loan, paid back with interest, requiring no exchange of equity, says Garcia. And, “while we see majority of RIAs partner with banks to fuel growth, private equity involvement in the industry has become more pronounced in recent years,” he adds — a result not only of the growth prospects for well-run RIAs, but of an increasing number of private equity firms being led by people with hands-on experience in wealth management, say other industry watchers. Private equity firms can get in on RIA funding in a couple of ways, says Garcia. These range from “100% control as a strategic buyer” to passive ownership “through some exchange of capital (usually through a strategic acquirer)” — who can decide where to put the money to work — to “purchasing a level of cash flow into perpetuity,” perhaps as an active partner. Dynasty Financial Partners is another player in the capital-raising game for RIAs — a role the eight-year-old RIA-infrastructure provider has evolved into through its role as, among other things, a strategic consultant to the 45 firms in its network. New York-based Dynasty offers loans repayable through a share of profits for a fixed period — something of particular interest to RIAs with healthy margins — or with a fixed-rate buy-back option, and result in tax and other tactical advantages without limiting management’s control. 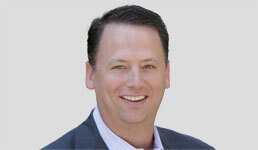 Retaining control is a central point for for RIA owners, says Dynasty’s CEO Shirl Penney. In his view, the first thing any entrepreneur in search of capital should determine is what capital sources want in return. So, while banks may be “broadly speaking the cheapest form of capital,” Penney says the strategic boost that’s possible from a private equity funder or a lender with industry knowledge — like Dynasty and like wealth-firm aggregators such as Focus Financial Partners and HighTower — makes them an alternative worth investigating. Meanwhile Penney sees more capital sources coalescing around independent RIAs, with family offices and even sovereign wealth funds picking up the scent. “Everyone sees the growth potential” of independent wealth management, says Penney. But it remains for RIA principals to understand, in every separate case, he stresses, exactly what they’re getting into. Oak Street Lending takes a broadly similar approach to RIA funding as Dynasty, offering loans designed to tap into cash flow for a set period. And for Rick Dennen, CEO of the Indianapolis-based firm, the advantage an RIA incurs “utilizing leverage as opposed to selling a portion of the business or having additional equity injected by someone else” is clear. The leverage route can be especially attractive to founders or sole owners who “find it a challenge to give up their future profits or have to report to a new boss,” says Dennen. As for the guidance and thought-leadership piece so often linked to speciality funders on the equity side, Dennen says there are peer-to-peer groups you can join to keep up with that stuff. That way, he says, “you get the best of both worlds” without selling a piece of the farm.